All year-round, your home’s HVAC is responsible for the consistency and reliability of your family’s comfort. Whether your Heating & Cooling Products in Mountlake Terrace, Edmonds & Lynnwood, WA are showing signs of its age, aren’t performing as efficiently as they should be, or need to be replaced or upgraded altogether, you owe it to yourself to make sure they get the dependable, professional service they need. Call on the expertise and versatility of your local Energy Works team to handle all your home comfort needs. Furnaces provide quality and dependability you can trust for cozy comfort in cold weather. 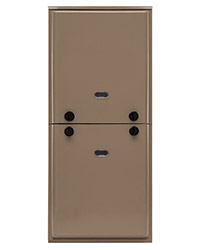 We specialize in residential furnace replacement. We carry a wide selection of furnaces for you to choose from to fit any budget or need, and our team provides you with professional assistance with the selection of your system. “Sizing” your furnace based on your home’s needs is critically important, as well as having the right ductwork for your home. Call us to make an appointment and let us do that analysis and help you with your decision making. When you’re looking for an effective way to keep your home’s temperatures comfortable all year long, go with a heat pump. It’s an incredible way to keep your house heated in the winter, cooled in the summer, and save money on the energy costs for both. 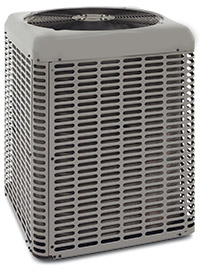 Because a heat pump is just moving warm air, not generating it, it takes far less effort to heat up your home. This reduction in energy translates to reduced electric and heating bills. It’s more of an investment for your home than an installation. Some estimates see as much as a thirty or even forty percent reduction in energy costs. Start the savings and install a heat pump, make the call to schedule a free consultation, today! True comfort depends on more than just a blast of cold air. 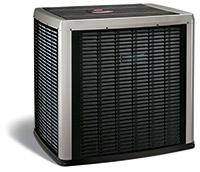 When you’re looking to maintain an enjoyable, comfortable, home, all summer long, you need a system that perfectly balances temperature, humidity, and ventilation, supplying ample, fresh, clean, cool air to every corner of your home. We offer many options, from our affordable 80+% efficiency models to high-efficiency 95%+ boilers that offer the best comfort, along with low utility bills. We can also assess your current heating zones, which allow you to customize the temperature in different rooms throughout your home. For your boiler replacement, we also offer the option to install an indirect water heater that connects to your boiler. Today’s boilers are far more efficient than boilers of the past. They offer big savings in energy costs and they also offer many new features to improve your safety and comfort. 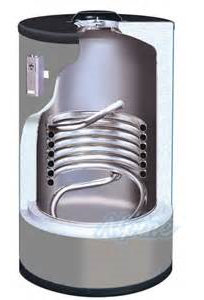 Indirect water heaters are tied into your Gas boiler heating system to heat the homes domestic hot water. High efficiency indirect water heaters are made with quality stainless steel materials for excellent heat transfer and a longer tank life. 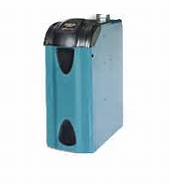 Indirect water heaters require a boiler. These water heaters work in conjunction with a boiler to heat the water that’s circulated through the heat exchanger in the storage tank. When paired with high efficiency boiler, these indirect storage tanks can generate over 50% more hot water than many water heaters of similar size. A combination Water heater / boiler is one appliance that provides both space heating and domestic hot water. 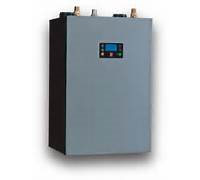 A separate hot water heater is not needed when using a combi boiler, offering space and energy savings. The combi uses either in floor radiant, Radiators or a radiant air handler to circulate hot water from the appliance through the heat exchanger. This compact appliance allows you to achieve all of your heating needs in one small unit. Combination units provide homeowners with one appliance that saves money on operating expenses, reduces overall installation costs and takes up less space than traditional space heating and water heating appliances. For decades, split-zoning air-conditioning and heat pump systems have been the quiet solution for cooling and heating problems around the world. You can end the struggle of cost vs. comfort. Ductless systems use only the exact amount of energy needed to maintain comfort, and they adjust automatically to changing conditions and are very easy to maintain. Ductless mini split systems use advanced technology to save you money. They are more energy efficient than traditional HVAC systems and transform those difficult to heat and cool areas in your home into quiet, efficient comfort. Contact us today for all of your Heating & Cooling Products in Mountlake Terrace, Edmonds & Lynnwood, WA!